AND GET IT FIXED FOR YOU! WILL STAND OUT WHEN YOU SEE OUR WORK! If you live in South Florida, Tropics Pool and Spa can help your pool clean & healthy with our monthly maintenance services. The bucket test helps determine if the unusual rate of water loss is due to a high evaporation rate or a possible leak. An algae filled green pool is unhealthy, unsafe & unsightly. Getting a green pool back to clear and healthy can take a lot of work. Have fun in your pool! We tailor our pool service to exceed your expectations! Also serving Pompano Beach, Boca Raton and Beyond! Are you looking for a company that offers pool service in Fort Lauderdale, Boca Raton, Pompano Beach, Coral Springs, Sunrise, Plantation and beyond? Tropics Pool & Spa is the best solution! Tropics Pools and Spa is a premier pool service company. We specialize in residential swimming pool service, residential spa service, residential fountain service, commercial pool service, and commercial spa service. For years we have worked hard to become a leader in the Fort Lauderdale area, providing pool service, winning over the trust of our clients and the referral of their family and friends. 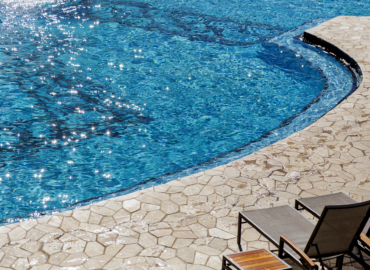 We’ve gained the experience and expertise in delivering pool and spa maintenance. Tropics is the # 1 Fort Lauderdale pool service company, because of its affordable prices, attention to details and state of the art pool service. Do you own a swimming pool, hot tub or spa? If so, perhaps you bought it for cooling & relaxing, not to worry about constant pool service & spa cleaning, maintenance, repair and safety. If you are in this situation and want to free yourself from the hassles of Spa, Hot Tubs or Pool service, cleaning, pool maintenance and pool repair, Tropics Pool and Spa Service in Fort Lauderdale is the company to call for all these pool and spa service needs. Tropics Pool and Spa Service in Fort Lauderdale, guarantee: the highest quality pool and spa service, working with professionals with intensive experience, professionalism and friendliness at affordable prices. Our knowledgeable and well experience trained pool and spa experts are always ready to clean, maintain, and fix your pool, hot tubs and spa. Regardless of how big and where its located, we will make sure you will have your pool and spa cooling and relaxing again.